There are many different ways that a person can travel these days. Perhaps in the past it was just taking a suitcase and heading off for a short trip, but now options are there to stay longer through either working holiday visas or through volunteer agencies. This blog is going to look at a few specific agencies that offer the possibility of individuals doing volunteer work abroad. Most of the agencies mentioned offer some type of payment in terms of room and board, and on occasion a monthly stipend. 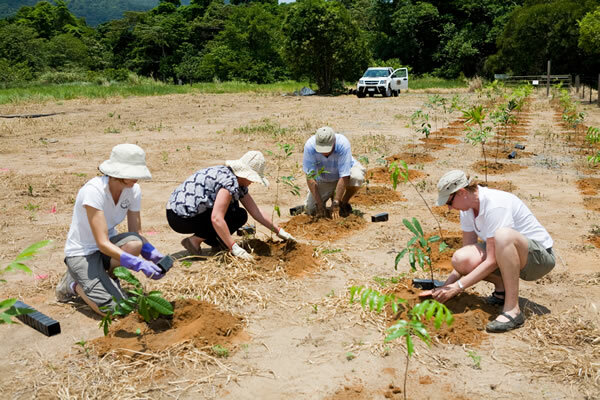 The benefit beyond the small monetary reward is that volunteering will allow you the chance to really make a difference in world locations that need it. Opportunities are abound with this organization that places volunteers to work on different organic farms in more than 53 different locations. Thousands of host farms offer board and lodging in exchange for a day’s work on their farm. This program provides the opportunity for volunteers to teach English in one of the worlds most impoverished countries. Volunteers are placed to schools and universities and may also be assigned to community projects beyond their teaching duties. Though volunteers must pay for their own airfare all other costs, including housing and food are covered. A small monthly stipend, to cover incidentals, is also given to volunteers. Help exchange is a website list that connects hosts, around the world, to willing volunteers. The projects are very diverse ranging from working in schools, building houses, community centres, to working on farms and gardens. A small membership fee is required to sign up for the web site, www.helpx.net. Food and lodging are exchanged for work. This is an excellent opportunity to spend time in very diverse parts of the world. HF Holidays a well known European walking tour operator is always looking for volunteers to guide its treks. Trek leaders are given accommodations, meals and the opportunity to explore diverse areas of Europe. This company provides a great opportunity for individuals that love nature and want to show others their passion for it. At a length of over 2,000 miles the Appalachian Trail is an epically long journey through the eastern United States. Along its expanses are more than 2,000 endangered or threatened species. In exchange for food and accommodations, which are usually pretty basic, volunteers help maintain and at times re-construct this historical trail.